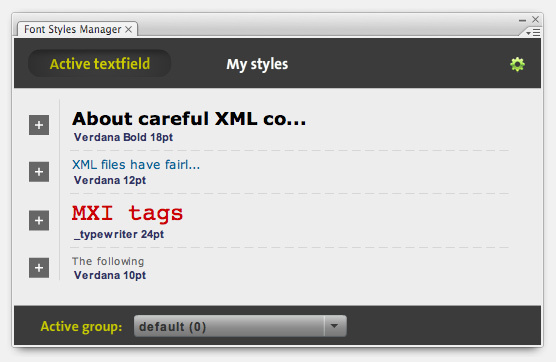 This extension installs a panel in Flash IDE which lets you store and manage your font styles. Some fonts don’t render in the right way in panel listings. I’m trying to fix this!